When I was at Oxford studying Philosophy and Politics in the 1980s, Rawls v. Nozick was the Battle of the Titans. Rawls argued that if we did not know our position in society – that is, if we were behind a veil of ignorance – then we would choose an income distribution that maximizes the minimum income. That is the the Max-a-min Principle. The basic reasoning behind this was that, behind the veil, you did not know where you would end up in the income lottery; you could not take a chance on being on the bottom of the pile – in the direst circumstances – so you would choose the income distribution that ensured the worst were as well off as possible. In this narrative, allowing income inequality encouraged highly talented individuals to do things that raised everyone’s income – a kind of rising-tides-lifts-all-boats argument, but only to the extent that it helped everyone. Nozick’s response was simply that this line of reasoning is absurd. The issue was not whether higher income earners deserved their largesse: it was not a moral issue. It was simply that in a free society, all are entitled to what they have and so stop arguing about income distribution.1)Michael Walzer, with his Spheres of Justice was the poor cousin during this time… but his book in many ways was the most interesting and I will be writing about it in the future. With apologies to Rawls (and perhaps to Nozick, as well), I am going to borrow and adapt Rawls’s idea: Can we improve Flourishing if our income generation objective is to maximize the median income? Nevinomics thinks we can. In today’s economic orthodoxy, every nation is trying to maximize economic growth expressed by growth in GDP or GDP per capita, if they are slightly more sophisticated. And while material wealth is important to Flourishing, these crude metrics miss an important factor: if these income gains are going to only the wealthiest group – who already are more likely to be Flourishing – how much impact is this growth having?2)Of course, this should also be an issue in orthodox economics, with the concept of diminishing marginal utility. If only the already wealthy are getting wealthier, then the increase in total welfare is miniscule. So, while a precise relationship between income and Flourishing needs to be worked out empirically, Nevinomics thinks that trying to maximize the median income – or the Max-a-median Principle – would be a pretty good start in the meantime. So let’s have a look at what the data tells us. 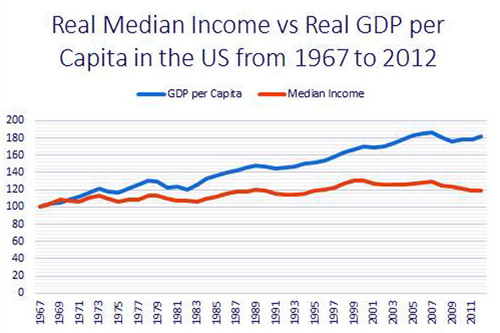 Figure 1 shows the median income in the US from 1967 -2012 indexed to 100. Basically, as is well known by now, the person in the financial middle of society – the median income earner – has done pretty dismally in the US in the last 45 years. During this same period, in the developed world, longevity has gone up significantly. Telecommunications are vastly better. Food and drink have improved, particularly in England. Technology has made skiing, tennis, and golf much easier for the average athlete. But the median income in the US has not budged. Wow. Orthodox economics tells us that the marginal utility of consumption declines as you consume more. Most of us will remember being told in introductory economics that the 2nd beer might be pretty good, and the 12th less so. Of course, we also know this from experience. A corollary to this principle is that money in the hands of the median-income earner (or low-income earner) must create much more individual welfare than the same money in the hands of a high-income earner. And I see this everyday in Nigeria, in real time. I live a very simple life. I do not socialize much, and 3 men look after me: my cook/housekeeper (who is from Benin and with whom I speak pidgin French), my driver (who boxes for sport and trained as a policeman), and my tennis coach. Of course, having 2 big, strong guys in the front seat driving around Lagos at night is not a bad thing. Anyone who has been in a similar situation will recognize that employing help in these circumstances comes with obligations beyond their salary and benefits. The cousin is sick and they are a bit short. School fees are due, but they had to pay the rent. Now here’s the thing: my giving small amounts of money in these circumstances is clearly welfare – and Flourishing enhancing – both at the individual and at the system level. If I give my driver an extra $50 in an emergency, he spends it immediately. This $50 becomes someone else’s income. 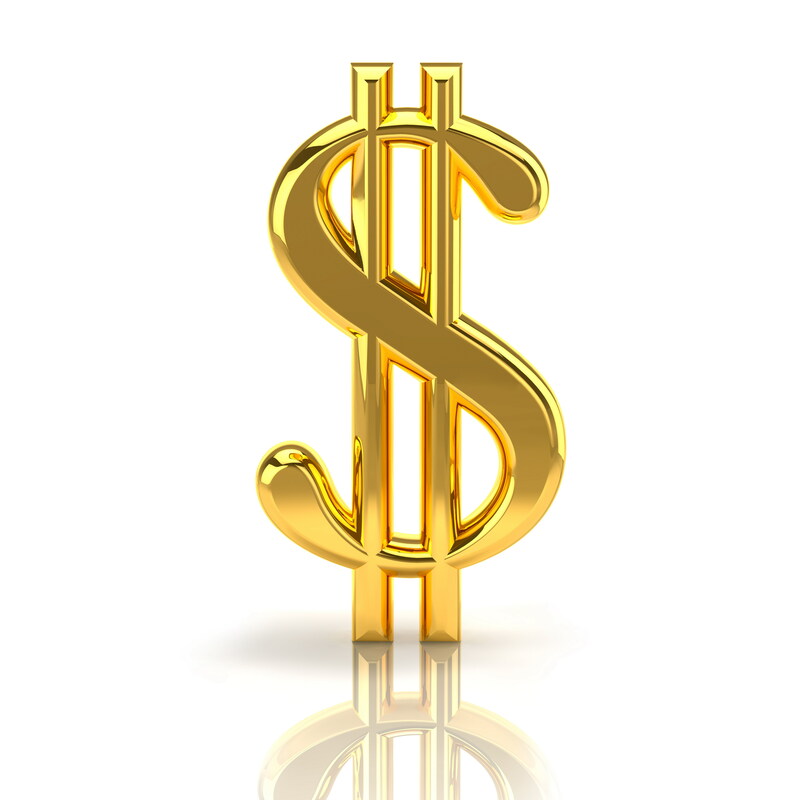 If I hadn’t given the $50, I certainly would not spend $50 more… it would simply sit in my bank account (or wallet) and this would be expressed statistically as a (minuscule) reduction in the Velocity of Money. So what does this look like for the developed world? 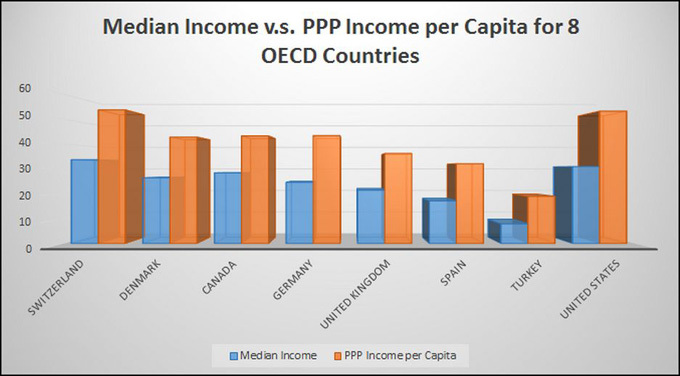 Figure 2 shows raw median income and PPP income per capita for 8 OECD nations. The great thing about max-a-median is that it captures in a single metric both the absolute level of income produced by a nation and the effect of income distribution. If we are trying to find an economic metric that has a relationship to Flourishing, then max-a-median has to be a pretty good start. Practically, this means our leaders need to make sure it is measured, and make sure it is announced with more fanfare than the straight GDP number. Finally, and most importantly, be prepared to enact policies that drive up median income. That is, max-a-median. We will see if our leaders are up to it. 1. ↑ Michael Walzer, with his Spheres of Justice was the poor cousin during this time… but his book in many ways was the most interesting and I will be writing about it in the future. 2. ↑ Of course, this should also be an issue in orthodox economics, with the concept of diminishing marginal utility. If only the already wealthy are getting wealthier, then the increase in total welfare is miniscule. Previous postPanel Discussion on CNBC Africa: The Importance of Health Care for 2015 Next postDo Interest Rates Matter?